Arisaig is a small village of a few hundred folk, which sits on the edge of the peaceful bay of Loch na Ceall (Arisaig Bay). The Arisaig Hotel dates back to the Jacobite era and was originally built as a Coaching Inn around 1720. 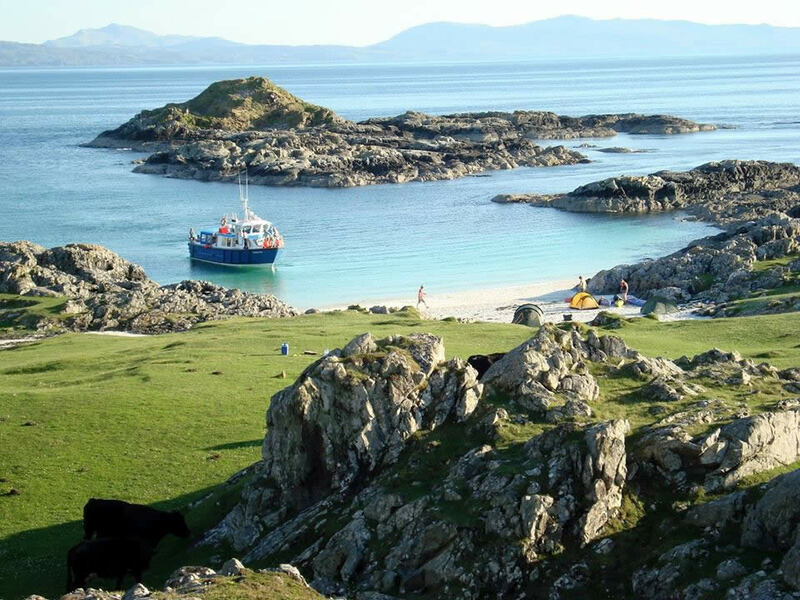 In the 12th century monks settled at Arisaig, calling the surrounding area "An Garbh Chriochan" (the Rough Bounds). Until the early part of the 19th century, the shores around Arisaig Bay and along the Rhu peninsular were home to a remote but thriving community of people making a living from the impoverished land and the bountiful sea which, as well as providing fish and shellfish, provided seaweed to fertilise the land. In 1801 over 1000 crofters were cleared off the land and shipped to Nova Scotia (New Scotland) in Canada to make way for sheep as part of the Highland Clearances. Emigrants from this area founded Arisaig in Nova Scotia. The local Countryside Ranger can take you to some of the old settlements, where you can see stones and turf walls which are all that remain of the pre-Clearances homes, such as the ones seen here on the Rhu peninsular, where you can also see the marks of the run rigs (furrows and ridges) or lazy beds where the crofters scraped any soil into a mound to grow their potatoes, until the potato blight caused the potato famine in the Highlands in the 1840s. It was only in the early part of the 19th century that a proper road, now known as "The Road To The Isles", was built and the population began to grow again. The end of the hotel which now houses the bar was formerly the coach house of the inn. The Fort William to Mallaig railway, the final stretch of the West Highland Railway, was one of the last major rail building projects in the British Isles and was built to service the fishing grounds of The Minch. Today it is widely regarded as one of the world's most scenic rail journeys. Four diesel electric trains link Mallaig with Fort William and Glasgow daily. The "Jacobite Steam Train" travels the West Highland Line during the summer months, stopping at Arisaig Station. This service offers guests an amazing journey from Fort William to the hotel, passing through awe-inspiring mountain scenery, around lochs and over the world famous Glenfinnan "Harry Potter" viaduct. 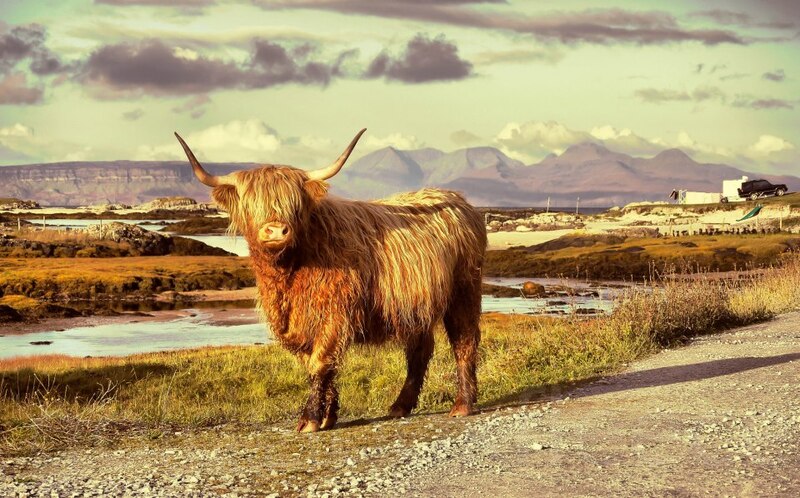 The Arisaig Hotel is surrounded by some of the most stunning scenery and if you were to climb the hill behind the railway station, you will see a panoramic view of the hills, the Ardnamurchan peninsular, the Small Isles and Skye. Arisaig bay offers shelter to yachtsmen and is now a thriving marina. 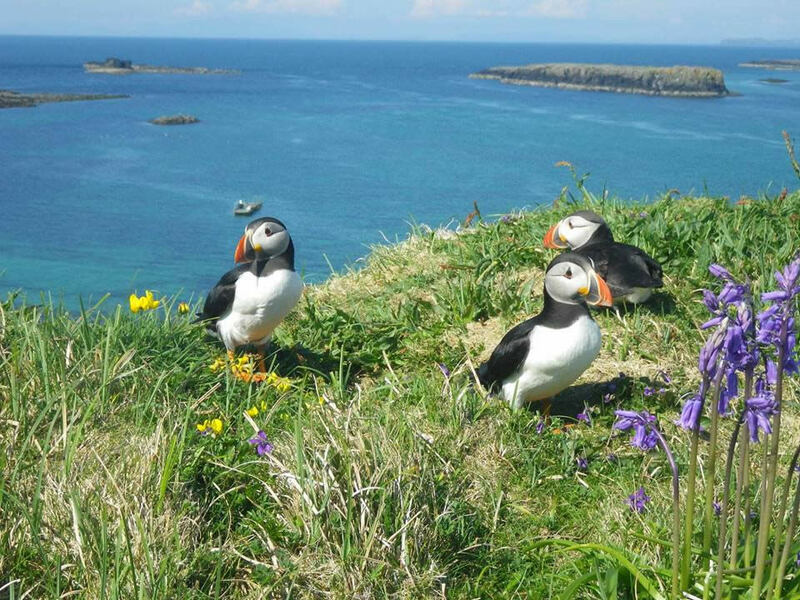 The bay is also home to a host of seals and sea birds. 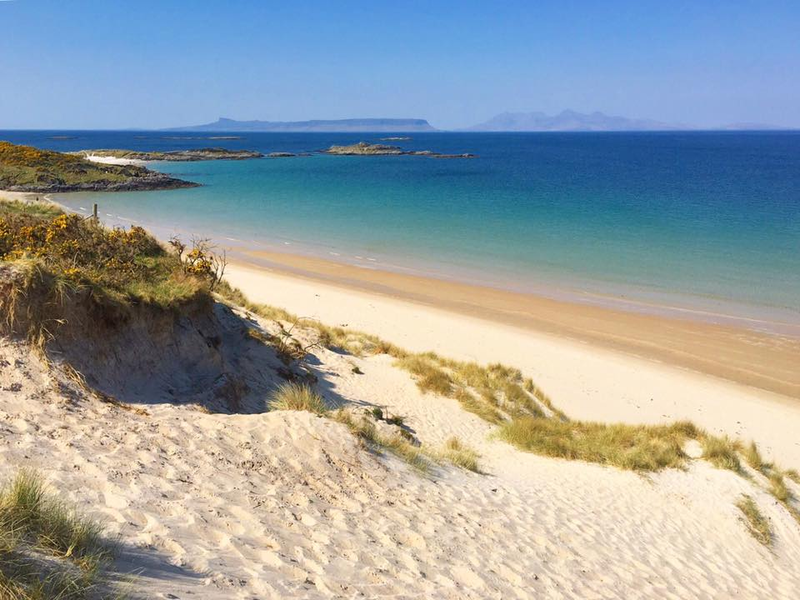 Just north of the village you can find a string of secluded sandy bays, including Traigh beach and the beautiful dune-fringed Camusdarach beach. The Land, Sea and Islands Centre, housed in the old smiddy in the middle of Arisaig, includes a viewing room overlooking the Small Isles, a souvenir shop, artefacts on crofting and fishing, a rebuilt forge, wildlife exhibitions and information about wartime activities in the village, when buildings in the area were used by the SOE (Special Operations Executive) during the Second World War to train agents for missions in Occupied Europe. On 11th November 2009, a memorial to Czech and Slovak soldiers who trained as SOE agents between 1943 and 1945, was unveiled in Arisaig. You will find information in the centre on Bonnie Prince Charlie and Long John Silver, who was born in Arisaig on 2nd January, 1853. As a young man, Long John Silver went to work on the construction of the lighthouse at Barrrahead. The lighthouse designer was Thomas Stevenson, father of Robert Louis. Local legend has it that Robert Louis Stevenson took the name for his character in Treasure Island. On 20th September, 1746 Bonnie Prince Charlie left Scotland for France from the shore of Loch nan Uamh following the failure of the Jacobite Rising. The site of his departure is marked by the Prince's Cairn. In 1770, the Scottish Gaelic poet Alasdair Mac Mhaighstir Alasdair died in Arisaig and was buried in the village's Roman Catholic cemetery. The clock in the church was installed to commemorate the famous Gaelic poet. Astley Hall is over 120 years old and hosts a wide range of local activities and events. Astley Hall was designed by prestigious architect Phillip Webb, partner of William Morris, co-founder of the Arts & Crafts Movement, and founder of the Society for the Protections of Ancient Buildings, it is believed to be the only building in Scotland which remains just as he built it. Astley Hall was sympathetically renovated in 2000 (A.D.) and is a great venue and resource for the local community and visitors.